Don’t have an account? Join. Select a Founder Institute Location Your city not listed? Learn more here. The Founder Institute offers a number of different Fellowships, providing opportunity for promising founders to launch a company in our idea-stage startup accelerator program, free of charge. See the list of Fellowships being offered for the Washington DC Winter 2018 Semester below, and be sure to apply, get accepted, and enroll by the Early Admissions Deadline of 2017-12-03 to be eligible. The Female Founder Fellowship is awarded to the most extraordinary technical female applicant for each semester, giving them the opportunity to participate in the Founder Institute for free. The recipient will be recognized as a woman with the utmost potential to become a successful technology entrepreneur. The Founder Institute is committed to narrowing the gender gap in high tech startups, and in order to empower more females to launch technology companies, we have launched the Female Founder Initiative to create more opportunities for female founders through the Founder Institute, and enable women to build successful companies. Learn more about the Female Founder Fellowship program here. Eligibility: In order to be eligible for the Female Founder Fellowship for the upcoming semester, you must apply, get accepted, and enroll in the program by the Early Deadline listed on the top of this page. Any woman who follows these guidelines will be automatically eligible - no further steps are required. Grant: The Female Founder Fellowship is awarded to the most extraordinary female applicant for each semester. The recipient will be awarded and notified within 5 days after the Early Admissions Deadline, and they will receive a full refund on their Course Fee within 1 week of the program start date. All applicants will be notified via email when the Fellowships are awarded. 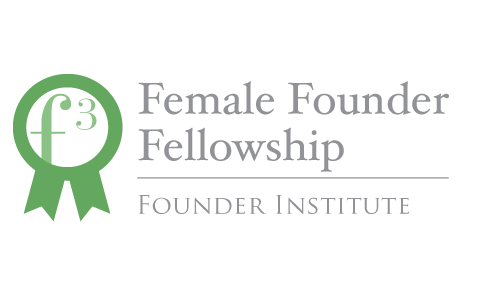 Click here to apply for the Female Founder Fellowship. The Vet-Tech Veteran's Fellowship is awarded to the most extraordinary veteran applicant from the Vet-Tech Community, giving them the opportunity to participate in the Washington DC Founder Institute for free. The recipient will be recognized as somebody with the utmost potential to become a successful technology entrepreneur. The Washington DC Founder Institute is excited to partner with an organization that shares our goal of fostering a strong local startup ecosystem: Vet-Tech, America's Startup Accelerator for Military Veterans. Through the Vet-Tech Veteran's Fellowship, everyone from the Vet-Tech community is invited to apply to the Washington DC Founder Institute for free, and the best overall applicant from the community will receive a Fellowship to participate in the program for free as well ($1499 USD value). Eligibility: In order to be eligible for the Vet-Tech Veteran's Fellowship for the Washington DC Winter 2018 Semester, you must complete your application, be accepted to the program, and submit your payment by the Early Admissions Deadline (2017-12-03), using this link. Grant: The recipient of the Vet-Tech Veteran's Fellowship will be awarded and notified within 5 days after the Early Admissions Deadline, and they will receive a full refund on their Course Fee within 1 week of the program start date. Click here to apply for the Vet-Tech Veteran's Fellowship. The CONNECTPreneur Fellowship is awarded to the most extraordinary applicant from the CONNECTPreneur Community, giving them the opportunity to enroll in the Founder Institute for free. The recipient will be recognized as somebody with the utmost potential to become a successful technology entrepreneur. The Founder Institute is excited to partner with an organization that shares our goal of fostering a strong local startup ecosystem: CONNECTPreneur, a quarterly forum of 350+ top IT entrepreneurs and investors in greater Washington DC region. Through the CONNECTPreneur Fellowship, everyone from the CONNECTPreneur community is invited to apply to the Founder Institute for free, and the best overall applicant from the community will receive a Fellowship to participate in the program for free as well ($1,650 value). Eligibility: In order to be eligible for the CONNECTPreneur Fellowship for the Semester, you must complete your application and admissions test by April 3, 2016, using this link. Grant: The recipient of the CONNECTPreneur Fellowship will be awarded within 5 days after the deadline. Click here to apply for the CONNECTPreneur Fellowship. Through the Frontier Technology Fellowship, any Founder building "Frontier Technology" can apply to any Founder Institute chapter for free, and extraordinary applicants that demonstrate the highest potential for transformative impact will be invited to participate in the Founder Institute's startup launch program for free as well. There is no shortage of big problems facing humanity, but there is a shortage of ambitious startups trying to solve them. However, more than ever before, entrepreneurs building impact-focused companies can truly change the world. Through the Frontier Technology Fellowship, the Founder Institute aims to inspire and empower ambitious entrepreneurs to pursue world-changing problems, and create transformative change for humanity. Through this Fellowship, any Founder building "Frontier Technology" can apply to any Founder Institute chapter for free, and extraordinary applicants that demonstrate the highest potential for transformative change will will be invited to participate in the Founder Institute's startup launch program for free as well. Top founders with ideas or companies addressing some of the hardest problems facing humanity will be considered for the Frontier Technology Fellowship, including (but not limited to) ideas across (1) Biotech/ Healthcare, (2) Cleantech/ Emissions, (3) Food/ Water, (4) Energy/ Transportation, and (5) Space Exploration. Eligibility: In order to be eligible for the Frontier Technology Fellowship for the upcoming semester, you must complete your application and admissions test by the Early Admissions Deadline , using this link. Grant: Any recipients of the Frontier Technology Fellowship in a program will be awarded within 5 days after the deadline. Click here to apply for the Frontier Technology Fellowship. We welcome your feedback to improve the Institute. Please contact us using the form below, and we will get back to you promptly.